Showcasing Brewmaster Paul Gautreau’s incredible artistry and innovation, these three beers were exceptionally handcrafted from start to finish. The perfect holiday gift for someone special – including yourself! 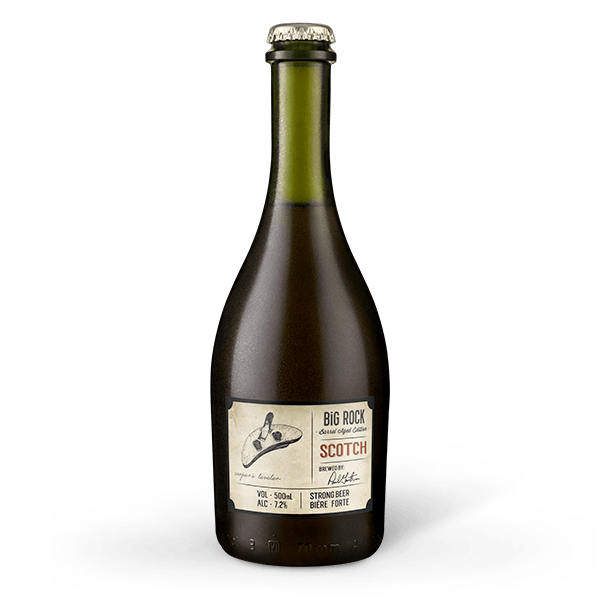 Barreled for 6 months in rye barrels from WhistlePig, this brew is one of the most sophisticated beers in the Big Rock family. Its full, light-amber body and ambrosial rye aroma foreshadow a brew that leads with a smooth oak sensation, follows with a pinch of spice, and finishes with pale, rye and caramel malts. 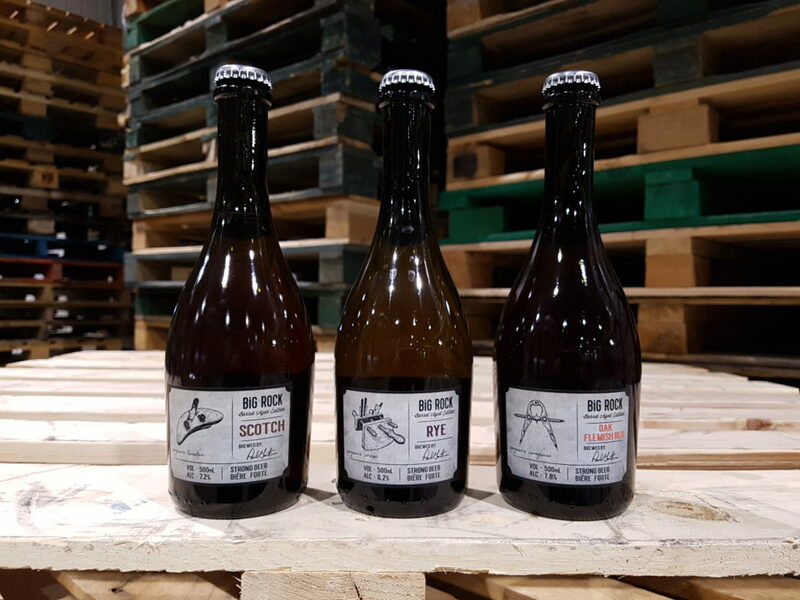 Introducing Big Rock’s new Scottish kingpin: this Scotch Barrel brew, complete with peated and caramel malts and Golding hops, is a true belly-warmer. Barreled for 6 months in Islay Scotch barrels from Ardbeg and Laphroig, its mild toffee and vanilla charm meshes agreeably with distinctions of dark fruit and oak. our treat for the ale-lover looking for a beer with a kick. A Flemish Red with deliciously complex character, cellared for a year before bottling. This bold Belgian-style beer fuses the spicy-tart flavours of prune and raisin with the slight sour and sweetness of plum and cherry. Vienna malt, Munich malt, and Belgian Special B malt contribute to this ale’s European swagger. A rich caramel, full malt belly-warmer.